Substance abuse takes a heavy toll on American business. Drug use in the workplace costs employers approximately $81 billion each year in lost productivity (U.S. Department of Labor). Drug abuse can seriously compromise the integrity and stability of your workplace. Fast and Accurate drug testing. Drug abuse in the American workplace is a serious and very expensive problem. Workplace drug testing can be a very effective away to battle this situation. More than 70% of substance abusers hold some type of job (American Council of Drug Education). 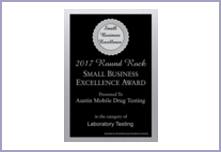 Let Austin Mobile Drug Testing help you keep your workplace drug-free. One Page Company Setup - A single form provides us your Company information, which drugs to test for, where to send the results and invoicing. And we will also perform driving records for you. 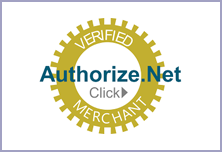 Immediate Service Availability - No extra forms required. We provide you an authorization form of your company Drug Screen Release Form, which includes a map to our location. Give one of these to each person you send in and we do the rest. Fast Results - From the time the subject walks through our door, the test and paperwork take 5-10 minutes so they can get back to work... causing you no "downtime". CDL Drivers who operate commercial motor vehicles subject to the CDL requirements on public roads in the U.S, are performing safety sensitive functions and are subject to DOT drug and alcohol testing (383.103). This includes all full-time, part-time, intermittent, backup and international drivers. Drivers are automatically added to the Random Pool with Negative DOT Drug Test Results. The Driver MUST have a Pre-Employment test to be added to the pool. NO SUBSTANCE THAT IMPAIRS YOU SHOULD BE ACCEPTED ON THE JOB SITE. It doesn't matter if it is alcohol or prescription medication (Medical Marijuana). Part of the problem with testing for marijuana use in the workplace is that the exact time of drug ingestion cannot be determined. The problem with marijuana is that it stays in your system over time and can also re-impair you over time. It gets stored in our fat cells and because it can stay there for weeks, it can re-impair you if your body is under stress. ​Since marijuana metabolites can remain in a person's body long after the point of ingestion, employers have no way of determining whether an employee's positive test resulted from usage on or off the clock. Thus, many employers choose not to take the risk of liability by employing individuals who test positive for marijuana. AMDT would like to offer you a more timely, lower cost solution for your drug testing needs. For more information on our drug testing services, please call our Round Rock office at (512) 507-5983 or our Marble Falls office @ (830) 201-4690. 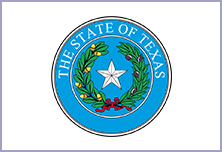 AMDT is a Third Party Administration (TPA) for Department of Transportation Companies, General Workforce Companies, Independent CDL Drivers and the TX Dept of Licensing and Regulation Towing Operators/Vehicle Storage Facility. AMDT performs Personal and Family testing as well as testing for Attorney's and Courts. AMDT offers Drug testing (hair, nail, urine, swab), testing for designer drugs, i.e. bath salts, K2, Alcohol testing (urine, hair, breath, swab), Paternity Testing/ DNA (legal) for courts with a 2-3 day turnaround, DOT Physicals, Motor Vehicle Checks, Background Checks just to name a few! AMDT can come to you for convenience or Come into the office...there is no waiting because THIS IS WHAT WE DO! We are not a clinic so there is no worry on coming in for a drug test and leaving with a cold! Courts have upheld drug testing as a legitimate means of determining an employee's ability to work. The majority of courts have held businesses liable for accidents caused by drug abusing employees, particularly when the company has no formal Drug Free-Workplace policy. In addition, many companies regardless of size report that being a Drug Free Workplace has increased the quality of job applicants and improved the overall workplace environment. Many times employers resist implementing a Drug Free Workplace Program because they believe that in the event an employee tests positive the employee, must be terminated this is not always the case. The consequences for a positive test result must reflect the companies Drug Free Workplace Policy. Options other than termination are available provided those options comply with the Drug Free Workplace Policy. Many times companies are confused, have been provided inaccurate information or simply hesitant to implement a Drug Free Workplace Program. Austin Mobile Drug Testing specializes in providing cost effective and comprehensive Drug Free Workplace Programs which include policy development, drug testing and on-going consultation to ensure that a company is truly a Drug Free Workplace. 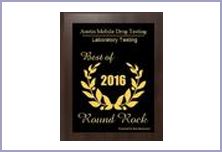 Austin Mobile Drug Testings staff will work with you to determine what type of testing best fits your needs, from a single test, to arranging random or monitoring programs. This can also benefit personal and family testing as well. There will be NO REFUNDS without a 7 day confirmed notice of cancellation. Refunds will not be given for payments made within 1 week of the registered class start date. After making your payment, please go to the Class Policy tab, read, sign and submit. You will then be COMPLETELY registered for your class. DWI 12 HR CLASS - Add Person Taking Class to Description. DWI SPANISH 12 HR CLASS - Add Person Taking Class to Description. DWI INTERVENTION 32 HR - Add Person Taking Class to Description PAY FOR CLASS IN FULL. DWI INTERVENTION 32 HR DEPOSIT - Add Person Taking Class to Description Pay DEPOSIT and Pay Weekly When Class Starts. DRUG OFFENDER 15 HR - Add Person Taking Class to Description. Marijuana, Opioids, Alcohol and Other Drugs 12 HR - Add Person Taking Class to Description. Evaluation / Assessment Please Call the Office to make your payment. 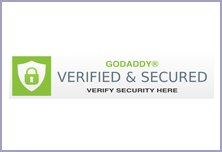 You MUST Read and Sign the class policy (Tab) To be COMPLETELY REGISTERED and CONFIRMED. REMEMBER! ARRIVE 30 MINUTES BEFORE THE CLASS START TIME TO FILL OUT A PACKET THE INSTRUCTOR WILL HAVE FOR YOU.